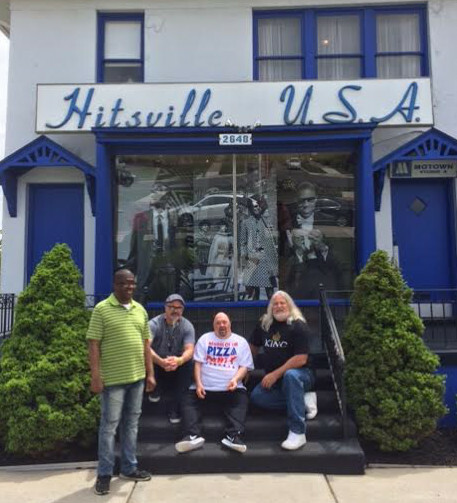 Golden String DJs visit Motown : Golden String, Inc.
On May 10-12th, 2017, goldenstringradio.org DJs, Eugene Hopkins and Walter Mootz visited Detroit, Michigan to walk the halls of the vaunted “Hitsville, USA”, Motown recording studio. The boys were accompanied by Jimmy Sutman and Uncle Mark Hancock. 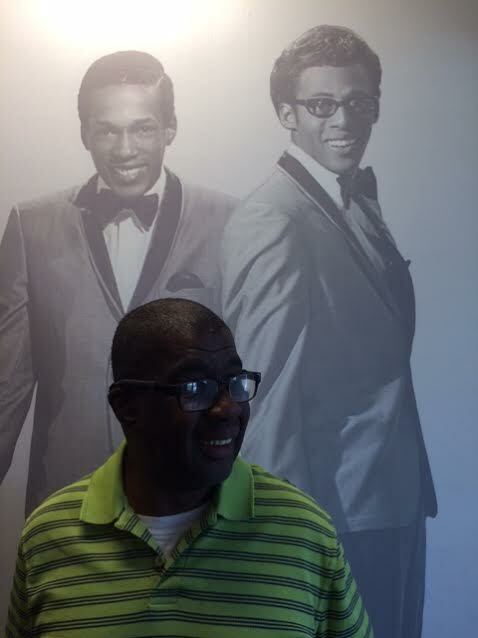 All four did the “Temptation’s shovel dance” in Studio A, the same studio where little Stevie Wonder, Marvin Gaye, the Jackson Five, and Mary Wells (among others) all recorded. Walter especially loved “Michael Jackson’s sequined glove” which was on display and Eugene loved a photo of the Supremes, “shaking hands with the Queen”. 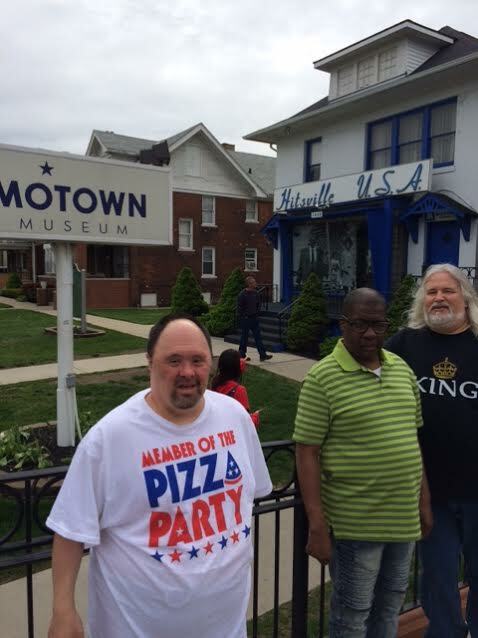 The group spent two nights at the Greektown Hotel and explored the city. Much pizza and BBQ and many burgers were consumed on the trip. The trip was subsidized by Golden String Inc. and its Andrew Thomas Fund. “More Mowtown sound, is what I like”, exclaimed DJ Eugene.